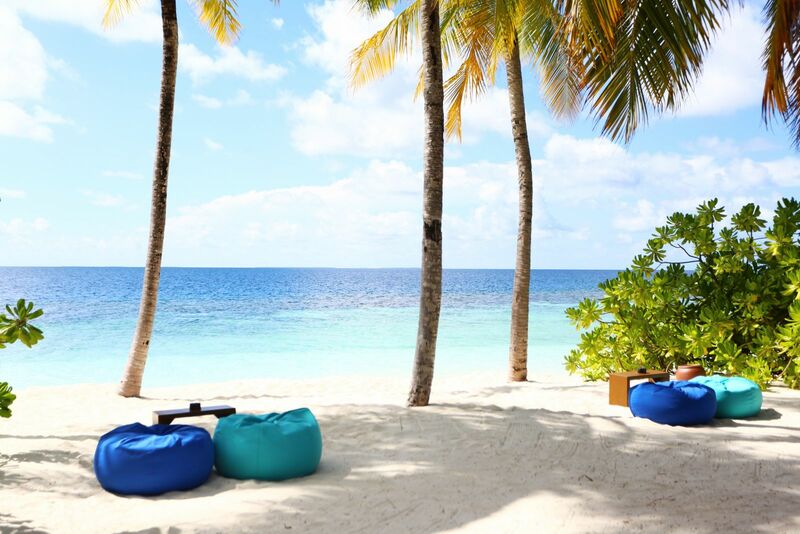 Surrounded by the azure waters of the Indian Ocean, Mirihi Island Resort is a luxurious tropical island retreat in the South Ari Atoll that promises an unforgettable Maldivian getaway. 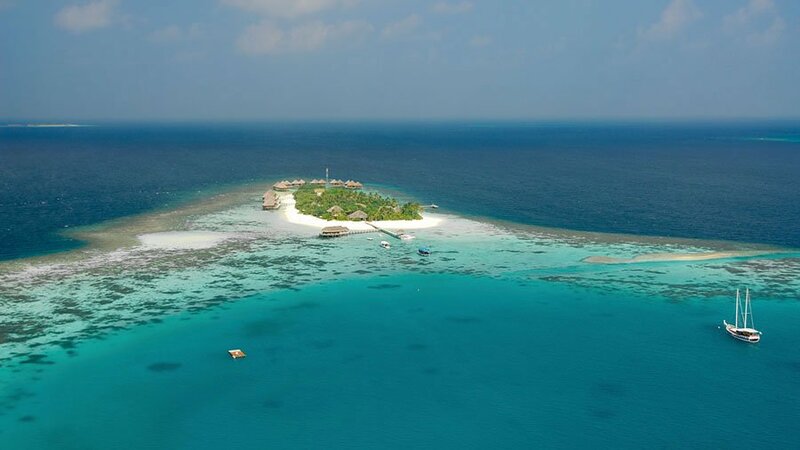 Reached by a 30-minute scenic seaplane flight from Malé, Mirihi Island is an emerald gem just 350 meters long and 50 meters wide with palm-fringed beaches of powder-white sand lapped by turquoise waters and a spectacular house reef. Named after a local flower, the tropical Mirihi Island Resort combines modern and traditional elements, while still maintaining a unique Maldivian character, and features 37 beautifully appointed beach and over-water villas and suites with lavish living spaces, designer décor, and state-of-the-art amenities. 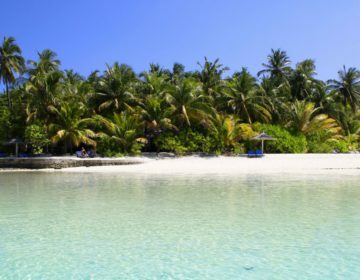 Mirihi Island Resort offers a world-class slate of activities from several award-winning restaurants and beach bars, a luxury spa with offers relaxing massage treatments and a fully equipped fitness center, and an array of water sports, including sailing, windsurfing. 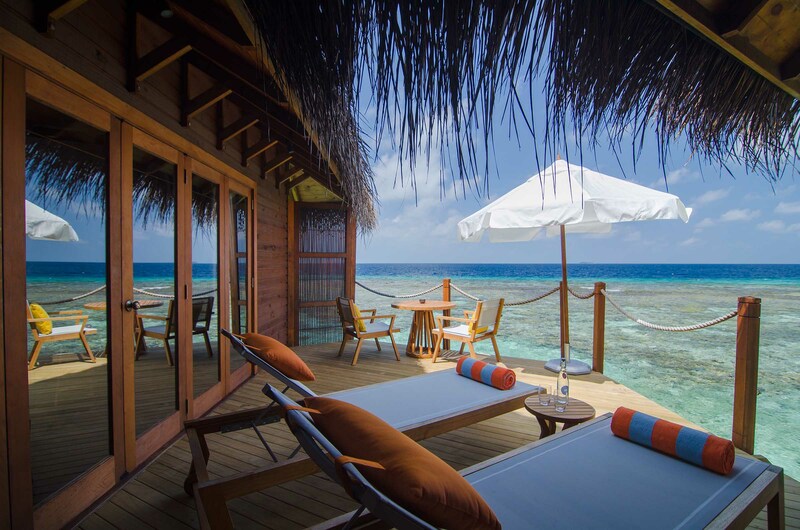 Mirihi Island Resort boasts beachfront or water villas with polished wooden flooring, spacious living and dining areas, elegant lounges with plush furnishings, wooden decks with outdoor seating, sun loungers, and umbrellas, and direct access to the beach or the ocean. Modern amenities abound, including flat-screen televisions with satellite channels, CD stereo systems, iPod connectors, fully stocked minibars, Nespresso machines, air-conditioning, IDD telephones, and complimentary wireless Internet. Dotted around the island, six tastefully designed Beach Villas offer 53 square meters of space with polished wooden floors, designer furnishings, king size or twin beds in premium linens, and en-suite bathrooms with soaking tubs, rain showers, bathrobes and slippers, and brand toiletries. 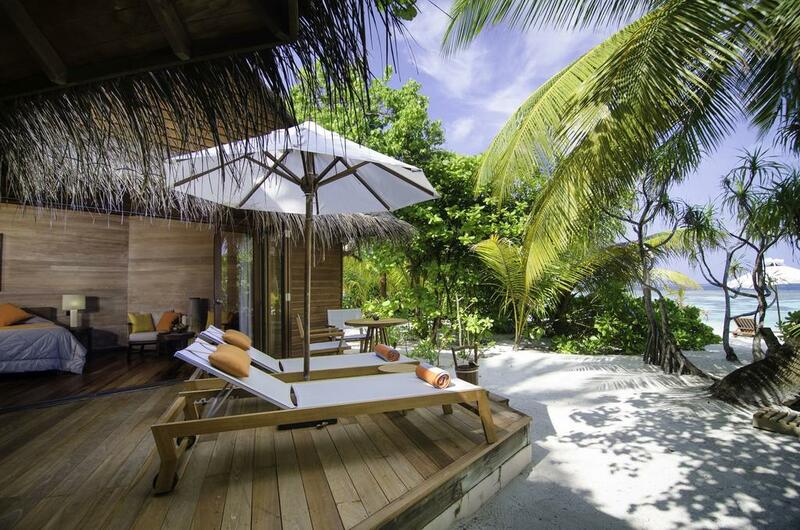 Beach Villas have private sundecks, outdoor freshwater showers and direct access to the beach. Modern amenities abound, including flat-screen televisions with satellite channels, CD stereo systems, iPod connectors, fully stocked minibars, Nespresso machines, air-conditioning, IDD telephones, and complimentary wireless Internet. 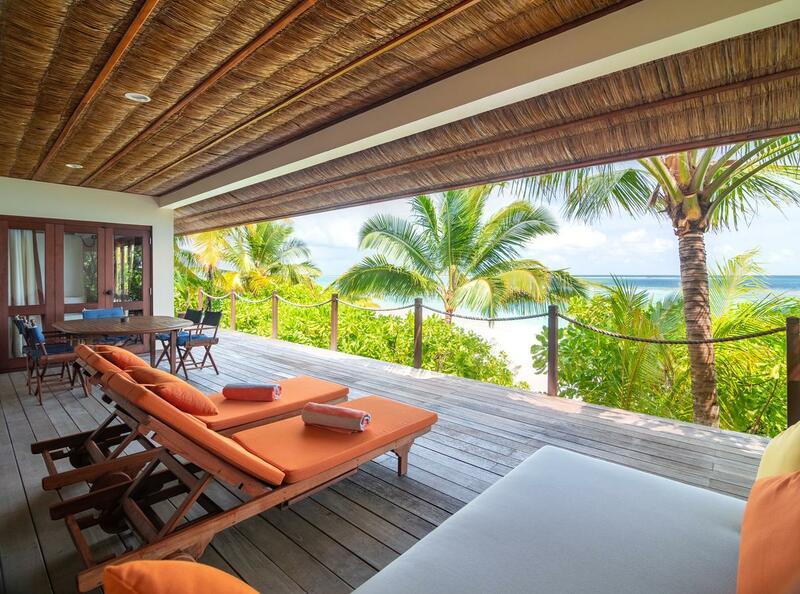 To book a Beach Villa, click here. 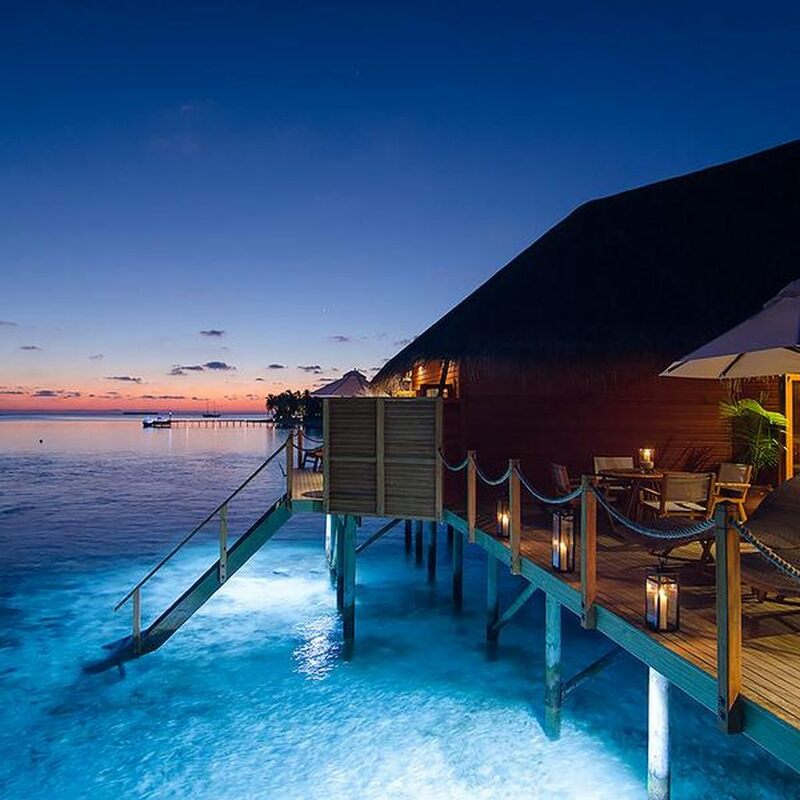 Built on stilts over the blue lagoon, 30 tastefully designed Water Villas are 53 square meters in size and have private decks with direct access to the water. Spacious living spaces have designer furnishings, large bedrooms boast king-size or twin beds in premium linens, and en-suite bathrooms overlooking the ocean through two large sliding glass doors have soaking tubs, rain showers, bathrobes and slippers, and brand toiletries. Modern amenities abound, including flat-screen televisions with satellite channels, CD stereo systems, iPod connectors, fully stocked minibars, Nespresso machines, air-conditioning, IDD telephones, and complimentary wireless Internet. 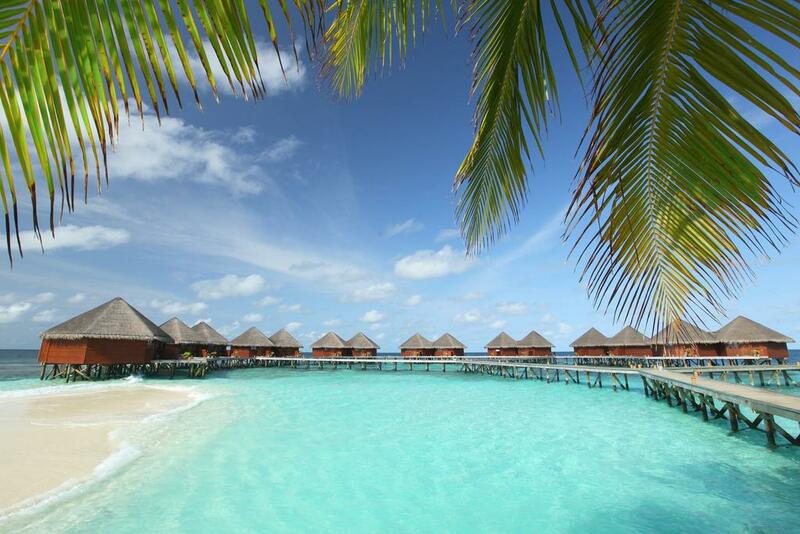 To book a Water Villa, click here. The brand new Two-bedroom Overwater Suite offers the ultimate over-water living experience on Mirihi. 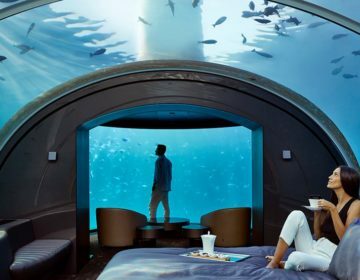 Situated directly over one of the most beautiful parts of the amazing house reef with its private jetty, the suite is 160 square meters in size and features two bedrooms with king-size or twin beds in premium linens, and two en-suite bathrooms with soaking tubs, rain showers, bathrobes and slippers, and brand toiletries. The luxury suite has spacious living and dining areas and outdoor wooden decks with an outdoor shower. Modern amenities abound, including flat-screen televisions with satellite channels, CD stereo systems, iPod connectors, fully stocked minibars, Nespresso machines, air-conditioning, IDD telephones, and complimentary wireless Internet. To book a Two-bedroom Overwater Suite, click here. The Beach House offers discerning guests the ultimate island experience with a private entrance to the house through a beautiful tropical garden, spacious living and dining areas, two bedrooms with king-size or twin beds in premium linens, and two en-suite bathrooms with soaking tubs, rain showers, bathrobes and slippers, and brand toiletries. Modern amenities abound, including flat-screen televisions with satellite channels, CD stereo systems, iPod connectors, fully stocked minibars, Nespresso machines, air-conditioning, IDD telephones, and complimentary wireless Internet. To book the Beach House, click here. 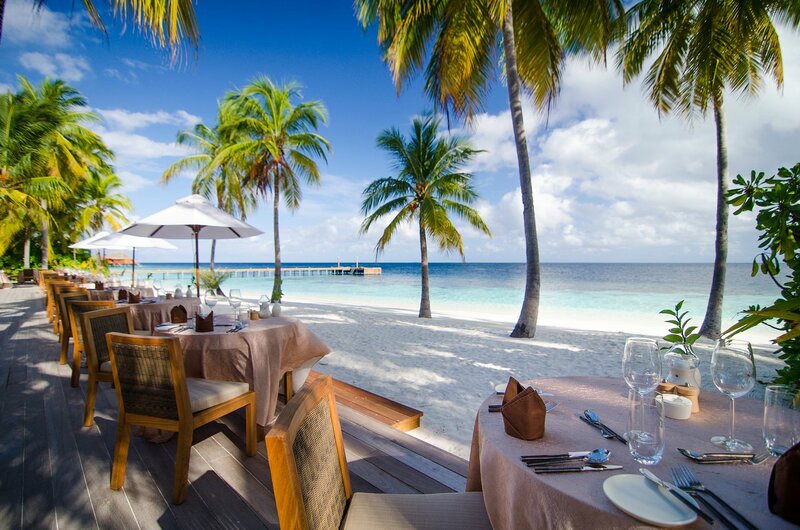 Mirihi Island Resort is a gastronomic paradise with several gourmet restaurants serving world-class cuisine and stylish beach bars with spectacular views serving a wide range of drinks from handcrafted cocktails to fine wines from around the world. Dhonveli is a traditional sand-floored buffet restaurant that serves sumptuous buffets for breakfast, lunch, and dinner with a combination of special international dishes and fresh local seafood. 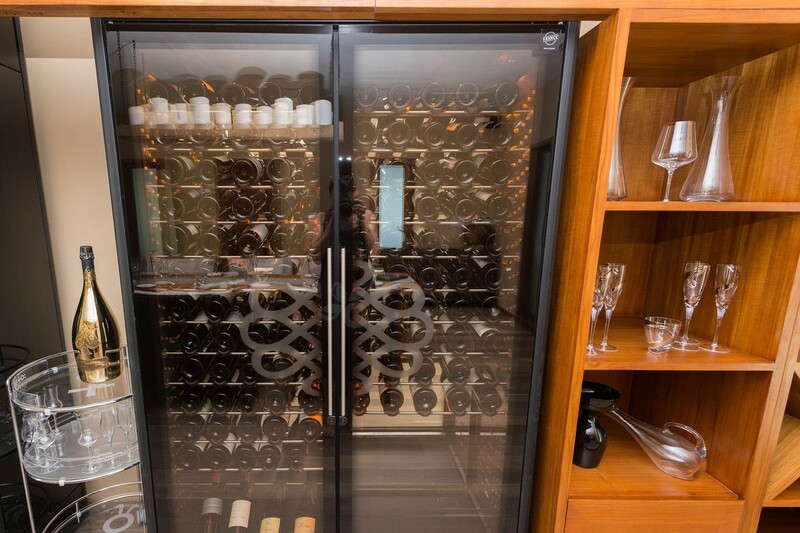 The cuisine is paired with a selection of over 300 new and Old-World wines on offer from an extensive wine collection. Muraka offers an exceptional dining experience with just eight exclusive tables set on a beautiful deck overlooking the water. Perfect for romantic dinners for two and special occasions, the menu features fresh seafood, prime Angus beef and other meats, and locally sourced vegetables and herbs. Ruhgandu is a small and unique Wine Lounge showcasing around 300 wines and Champagnes from around the world, including rare vintages and exclusive labels. 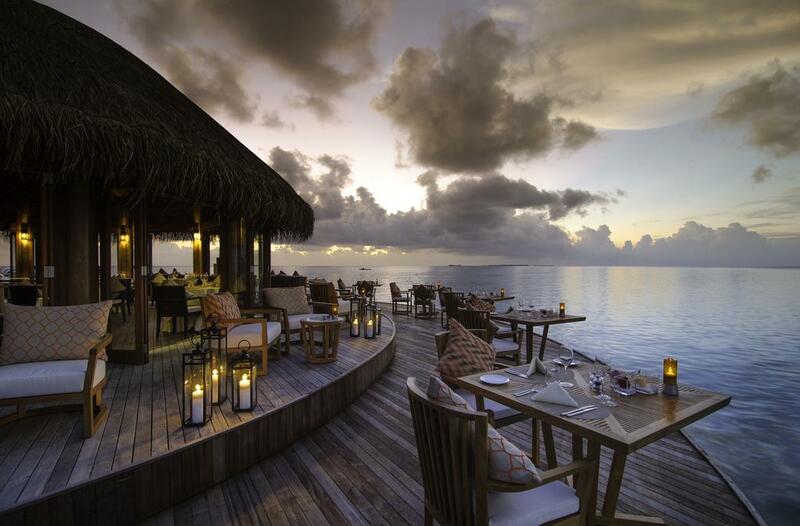 The Anba Bar is ideal for sipping sundowners while the sun sets over the horizon and tasting fine rums from one of the largest and most comprehensive collections of fine Rum in the Maldives. Guests wanting elevated levels of intimacy can enjoy exclusive private dining experiences with personalized butler services in several stunning locales around the island. Relax at a sand-carved, candlelit table beneath a blanket of stars and enjoy a customized dinner prepared by private chefs. Sail towards the sunset on Mirihi’s yacht, Thari, while enjoying a refreshing aperitif cocktail on the deck before anchoring and having a barbeque of your choice. Taste various Champagnes and sparkling wines at specially organized tasting sessions in the Muraka Restaurant or take a journey through the most extensive collection of Rum in the Maldives on special hosted Rum tastings complemented with chocolate in Anba Bar. 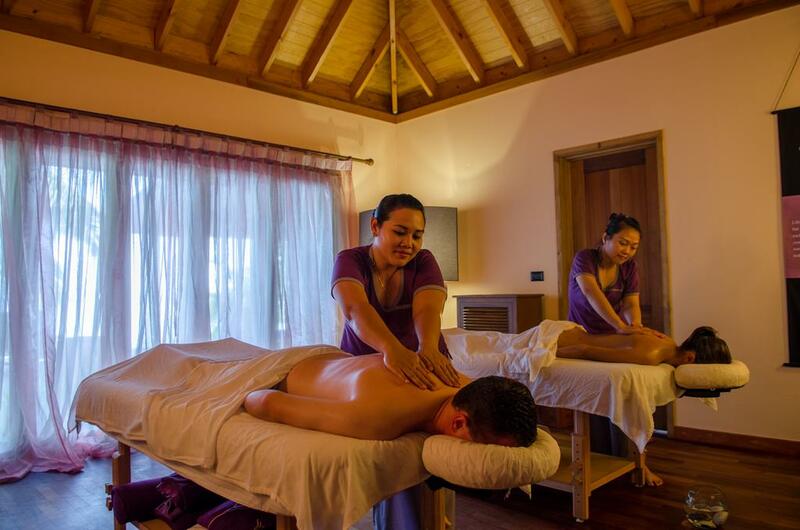 The luxurious Duniye Spa is a tranquil island sanctuary that soothes body, mind, and soul with five-star products and treatments that cleanse, calm and beautify in an elegant and relaxing setting. Trained therapists relieve the stress from your body and relax your muscles with a variety of massages and body treatments, and a qualified yoga professional offers morning and evening yoga classes. 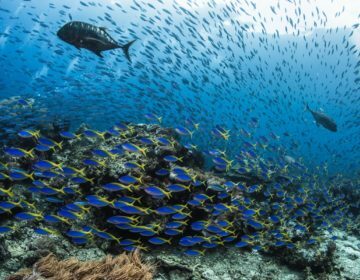 Mirihi Island Resort boasts a wealth of recreational activities and sports to enjoy from scuba-diving, snorkeling, and swimming with manta rays to dhoni excursions, kayaking, and big game fishing. Learn how to dive with tailored programs for all abilities and specialty courses led by the country’s most experienced instructors. Take an unforgettable trip on a traditional dhoni with the resident marine biologist and swim with whale sharks, an experience that will leave you with lasting memories for a lifetime. 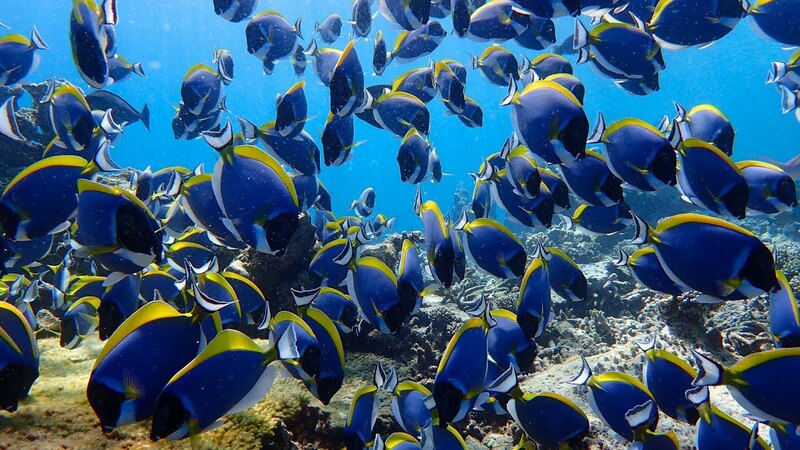 Enjoy day and night fishing charters, dolphin watching excursions, catamaran sailing, beach volleyball, and windsurfing. Guests can also take a sunset cruise on a traditional dhoni, or head out in search of dolphins, turtles, manta rays and other amazing marine life in a guided wildlife watching trip. 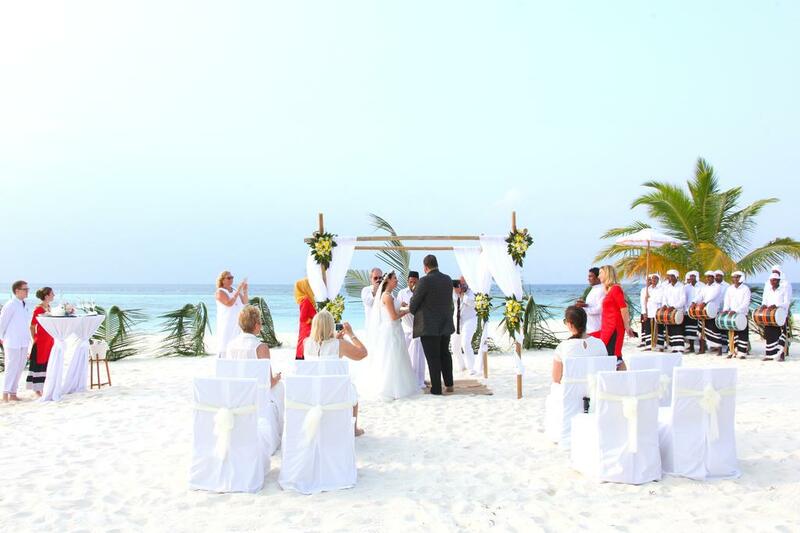 Mirihi Island Resort is the ultimate haven to begin a life together with several romantic wedding venue locations to exchange your vows, ranging from the powder-soft Maldives beach or great sandbank to floating above the ocean. Mirihi Island Resort defines the essence of a superb honeymoon with a range of romantic activities for two, including Champagne breakfasts in the privacy of your bungalow or villa, romantic candlelit dinners for two in your bungalow or villa, or on a beach or sandbank, relaxing massages for two, picnic baskets for two, special occasion packages, and Mirihi Island Resort cruises.